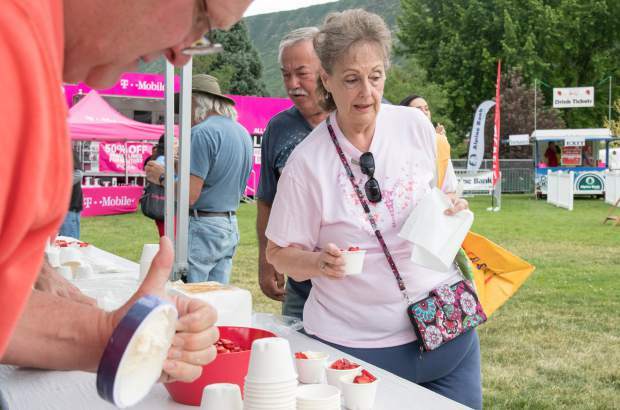 Park goers enjoy free strawberries and ice cream at Sayre Park after the 2018 Strawberry Days Parade on Saturday morning. 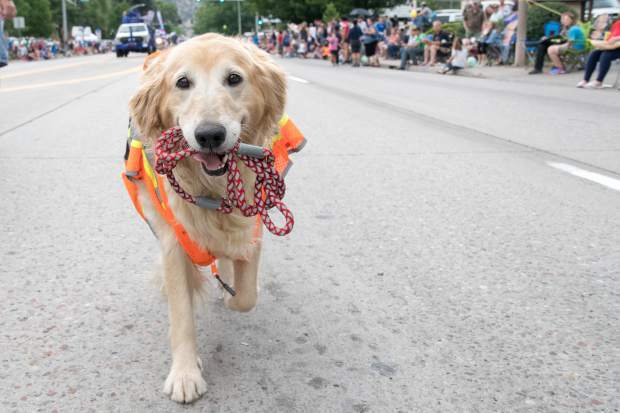 A happy pooch walks themself down Grand Avenue during the 2018 Strawberry Days Parade on Saturday morning. 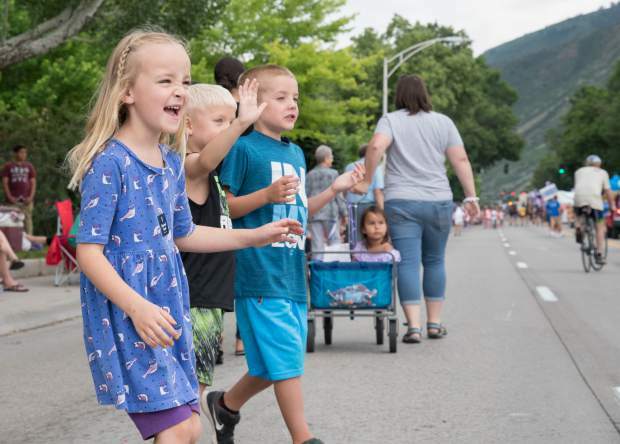 Kids wait for candy and get sprayed with water during the 2018 Strawberry Days Parade on Saturday morning. 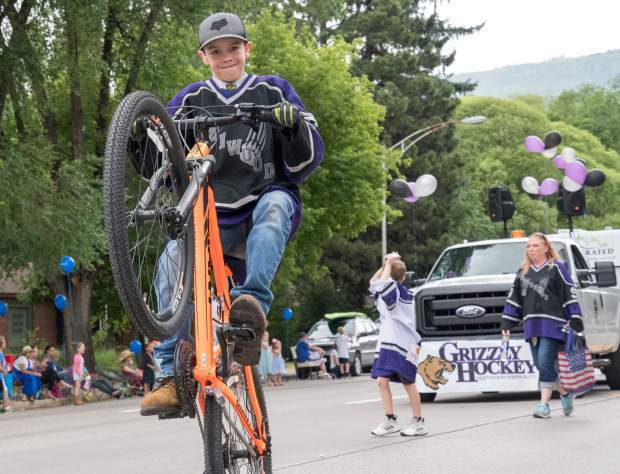 Members of the Grizzly Hockey Team make their way down Grand Avenue during the 2018 Strawberry Days Parade on Saturday morning. 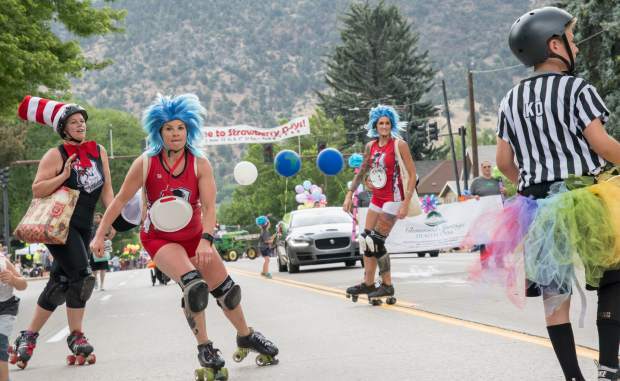 Members of a roller derby team make their way down Grand Avenue during the 2018 Strawberry Days Parade on Saturday morning. 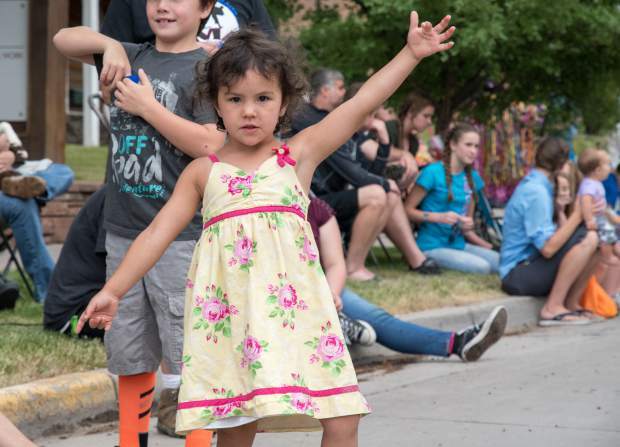 A little girl waves to the firetrucks, floats and more during the 2018 Strawberry Days Parade on Saturday morning. 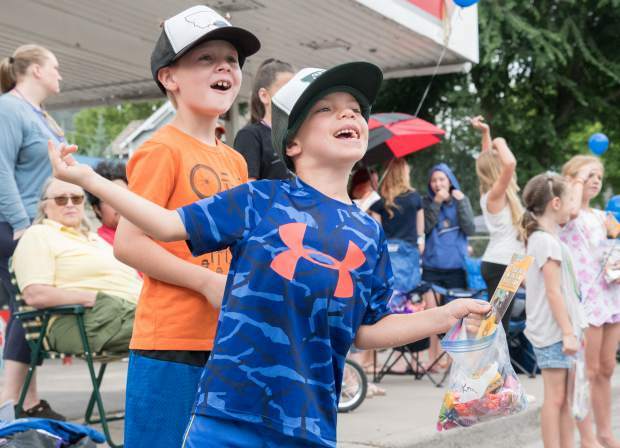 Parade goers watch floats and grab as much candy as possible during the 2018 Strawberry Days Parade on Saturday morning. 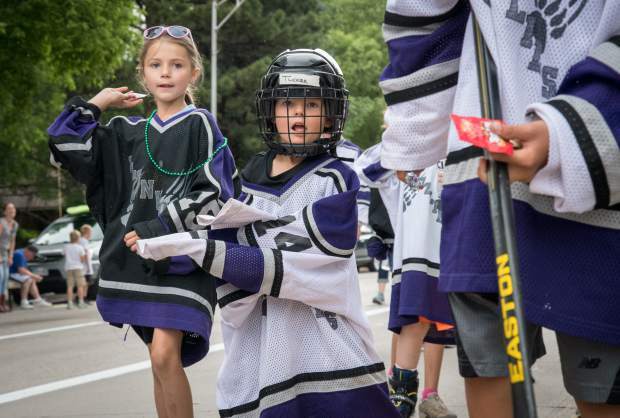 Scenes from the 2018 Strawberry Days Parade down Grand Avenue on Saturday morning. 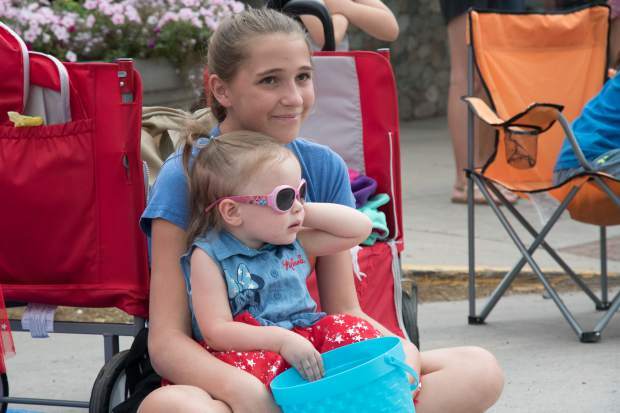 Two young girls watch the 2018 Strawberry Days Parade on Saturday morning. 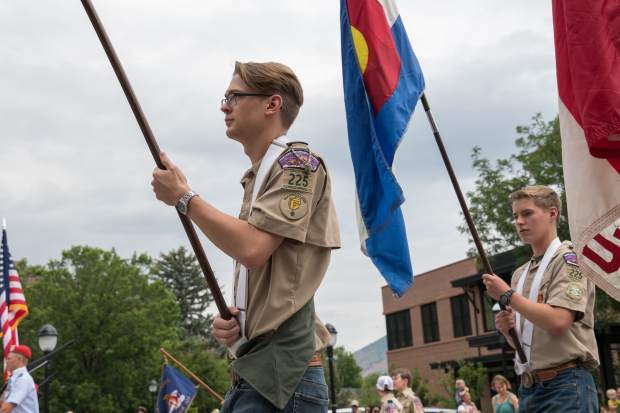 Members of the Boy Scout Troop 225 lead the 2018 Strawberry Days Parade down Grand Avenue on Saturday morning. Defiance Rafting crews make an appearance in the 2018 Strawberry Days Parade on Saturday morning. 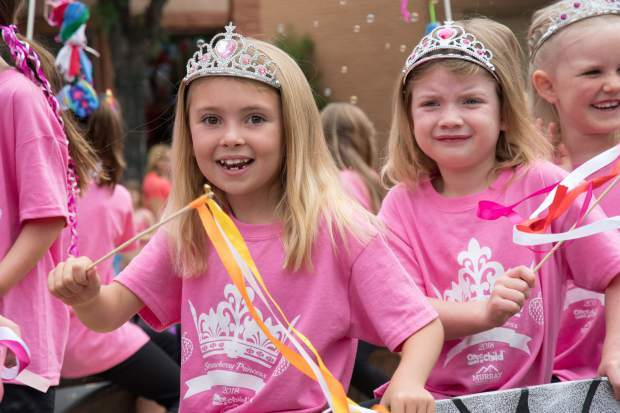 The Miss Strawberry Days Princesses make an appearance during the parade on Saturday morning. 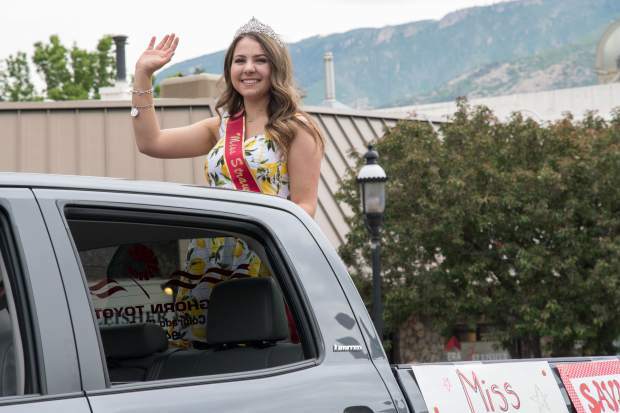 The 2018 Miss Strawberry Days Savannah Otto leads the line of contestants during the parade on Saturday morning. 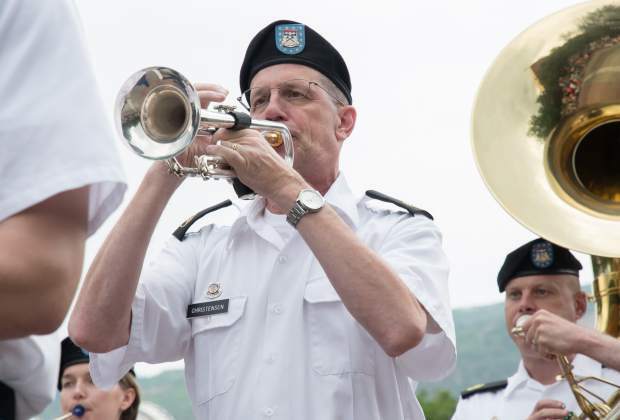 Members of the 101st Army Band participate in the 2018 Strawberry Days Parade on Saturday morning. 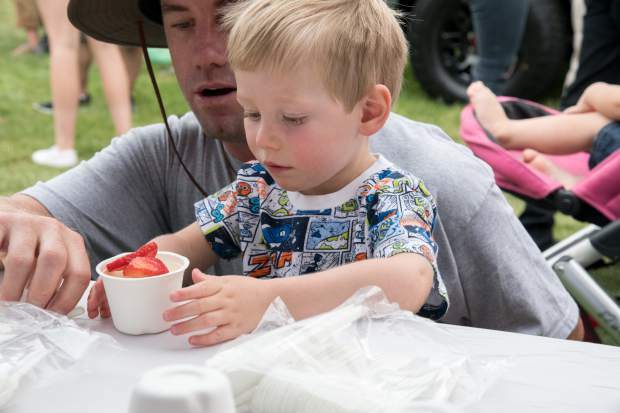 This year’s Strawberry Days has seen faces new and old, and the Saturday rain couldn’t take away the smiles. 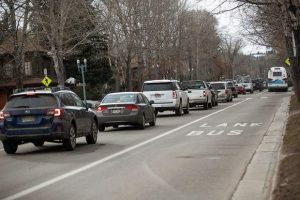 After the parade down Grand Avenue on Saturday morning, crowds began to file into the park and line up for food and activities. Alex Ballas, head chef of Dionysos Greek Food, said he has enjoyed the beginning of the festival and is looking forward to the rest of the weekend. Ballas is a longtime Strawberry Days attendee and said that Saturday’s crowds after the parade are always heavy, but he enjoys the Glenwood vibe. “I’ve built a following here,” he said. “When we first came to Glenwood, nobody knew what a gyro was.” He would walk around and draw fair-goers away from the greasy foods and towards a fresh, tasty sandwich. 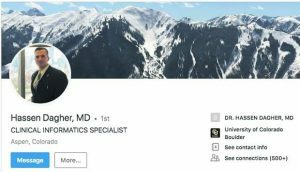 Ballas grew up in the restaurant industry in Boulder, where his father, an immigrant from Kalomata, Greece, and his mother sold Greek food in their own restaurant. 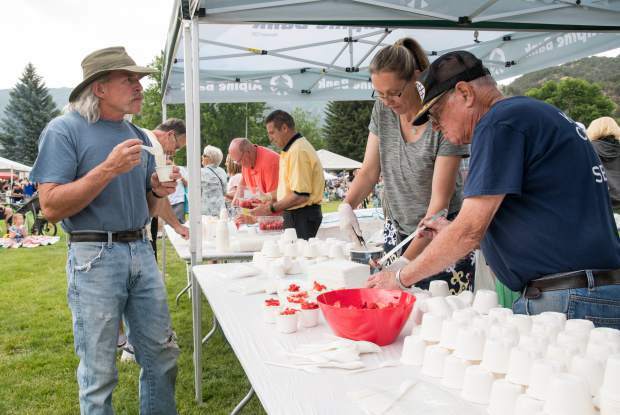 Ballas attended cooking school and continued the family business, not only in the traditional restaurant style, but also by driving his food and crew around from festival to festival all over Colorado and part of Utah. “It’s amazing. 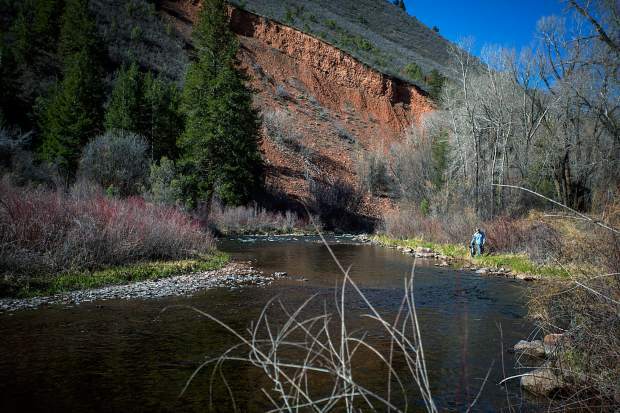 I’m grateful every day that I get to cook outdoors and listen to music,” Ballas said. 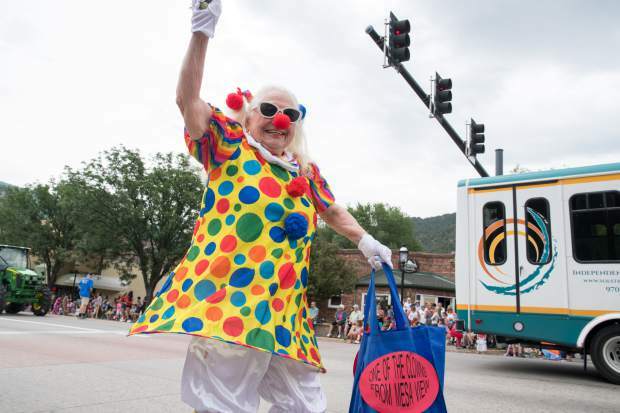 In 31 years, he said Glenwood has only seen two rainy Strawberry Days festivals. Since 1976, Johnson has been making lemonade and iced tea between Maine and the Caribbean. Katie O’Hara Barrett, of O’Hara’s Jams & Jellies, has been selling her fruity products at Strawberry Days for over 20 years. 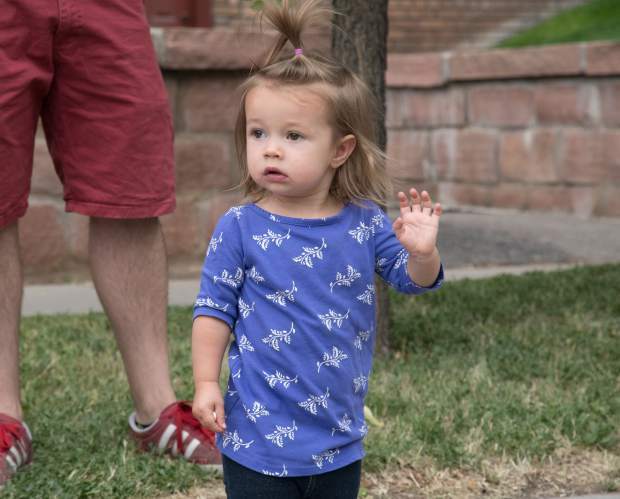 “I had a little girl then, now I’m a grandma twice over,” she said. O’Hara and her husband Jim have been making jams and jellies in Durango for the past 34 years. They started making jelly when their fruit trees started bearing more fruit than they knew what to do with. 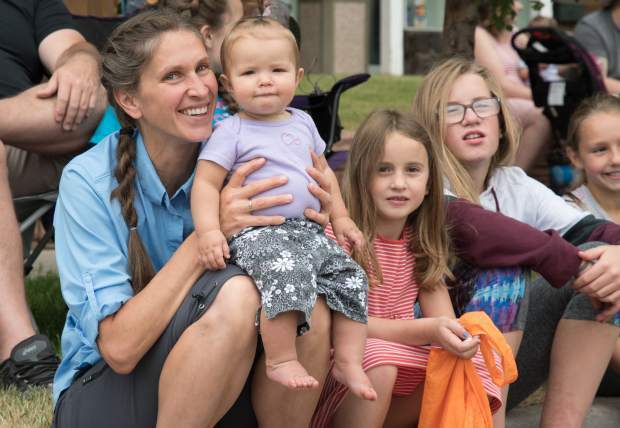 After winning multiple blue ribbons at the La Plata County Fair, they decided to turn their hobby into a business and have been selling at fairs ever since. O’Hara said she’s glad to see Strawberry Days improving their system of composting and recycling trash at the fair. 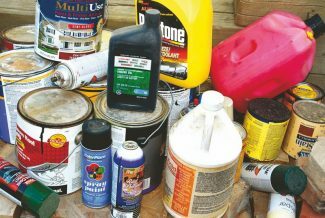 The festival expects to compost 14,000 pounds of waste this year. O’Hara said that’s a great example for all of the United States. 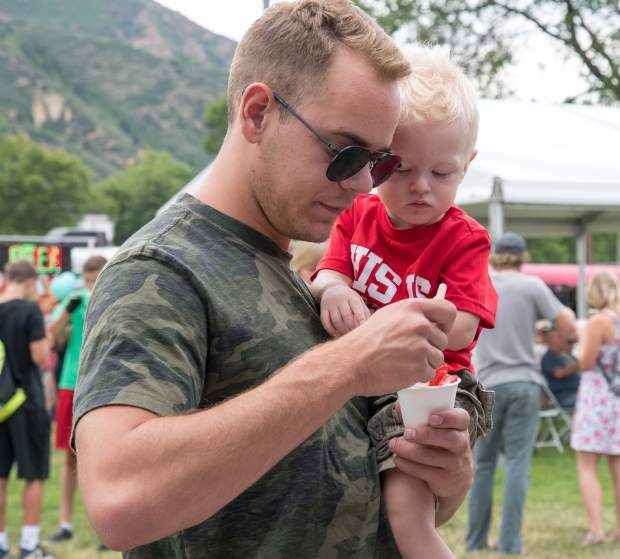 Gelü Italian Ice from Grand Junction is a new face at Strawberry Days this year. They decided to opt out of Country Jam this year and come to Strawberry Days. Employee Jake Gooken said he’s enjoyed seeing people from all different cultures come through the park. 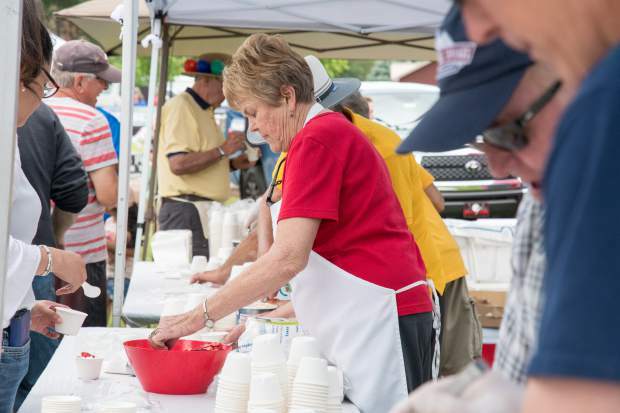 After visiting all of these vendors and others, fair-goers on Sunday can participate in the Kiwanis Ball Race at 1 p.m. on North Highland and Blake Avenue. The Glenwood Springs Kiwanis Club will be dropping nearly 4,000 balls and giving away prizes to 21 winners. Cash prizes are $2,500 for first place, $1,000 for second place and $500 for third place. Eighteen local businesses have donated gifts as additional prizes. Kiwanis President Sheryl Doll said they’ve had great sales so far and have seen great community support. And the weather is expected to cooperate Sunday as well.